Flextron is the universal multi-purposed ‘peel & stick’ flexible module. It is available in three standard forms; 120, 240 & 360 nominal Watts but also available in intermediate non-standard sizes from 43 to 360 Watts of nominal power rating. It is available with junction boxes at the top or at the rear to suit design requirements. Flextron can be integrated onto multiple approved substrates (metals & non-metals) in controlled conditions either in BIPVco facilities or at an approved integrator facility. The flexible nature of Flextron along with its other attributes of Teflon coated self-cleaning top sheet, superior thermal degradation and light weight makes it truly a universal product with multiple applications. Metektron is the world’s first solar power module where the solar cells are directly fused to the building fabric in the factory to form the unified power roof / wall component. Available in two standard sizes of 120 and 240 nominal Watts. It is also available in non-standard sizes between 43 and 240 nominal Watts with a maximum roof panel length of 6M. 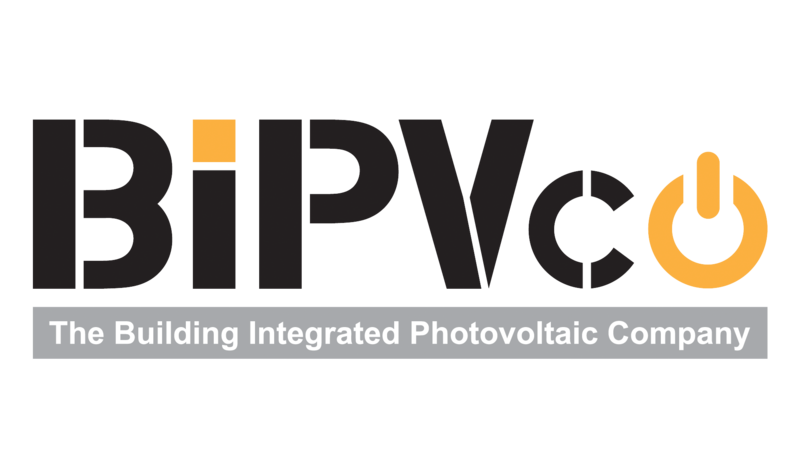 Please contact BIPVco if your requirement is non-standard. This integration of the cells onto the metal substrates reduces the amount of material used as the metal acts as both carrier and barrier for the module. The avoidance of the secondary step of mounting the module saves on labour / time. Metektron has been jointly developed with reputable building substrate and component suppliers and thoroughly tested by third party or durability by accelerated aging in environmental chambers. The roof and the PV warranties will be maintained by this systems approach. When the modules have to be longer than 6M or when the functionality cannot be integrated at BIPVCo factory an equivalent Metektron module can be built by laminating a stand-alone flexible module to an approved metal roof product. METEKTRON+ has all the electrical characteristics of Metktron but with a different build process and some additional material since the steel base lo longer forms the barrier function for the electrical module. The Single ply TPO membrane laminated Power module. This is a large format triple lane module with a mean power output of 360 Watts. The factory integrated POWER MEMBRANE can be installed in the normal way, either by conventional mechanical fixing or be fully adhered without the need for any additional work , ballast or structural framework to anchor the PV functionality to the roof. POWERPLY is available with junction boxes at the rear to conceal all electrical work beneath the roof level or on top when it can be trunked externally under suitable flashings (ridge caps / gable trims). The large format is ideally suited to standard single ply membrane sizes and facilitates easy installation while minimising balance of module system costs. The technology is equally suited to low roof slope applications (down to 3 degrees) with it’s superior low / diffused light performance. BIPVco solar modules contain a self-cleaning ETFE (Teflon type) top sheet to deter mildew, dirt or other obstacles. Reduce overall installation costs, save money on your energy bills & get paid for the energy your panels produce. BIPVco modules are extremely lightweight & flexible which makes them ideal for integrating onto metal & membrane roofing systems.